Posted on December 17, 2015 by Kat, aka "ArtyKat"
We hope you have had a special Thanksgiving day with family and/or friends and remembered to be thankful for all the liberties we have here in the United States of America. And for the great food, of course! 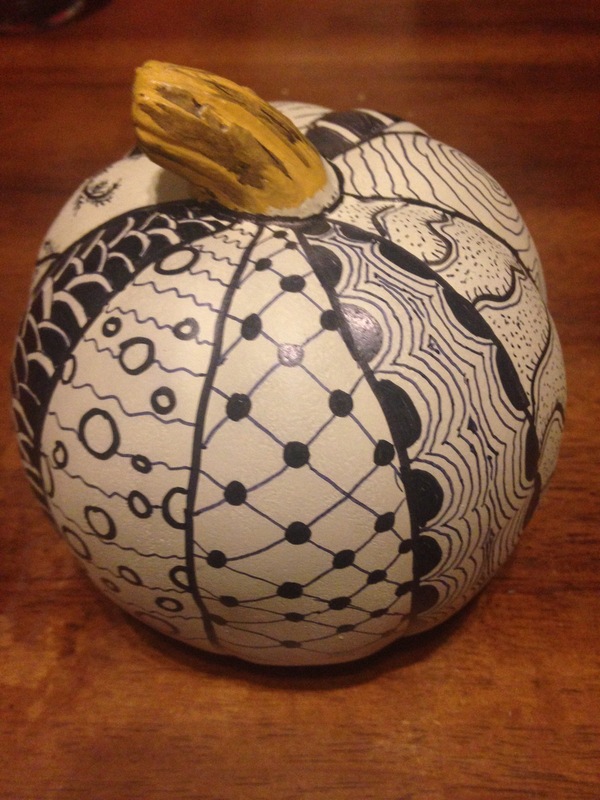 I love to see your Zentangle art and recently Blaine Street from my very first class sent me this great pumpkin that he made. Enjoy! 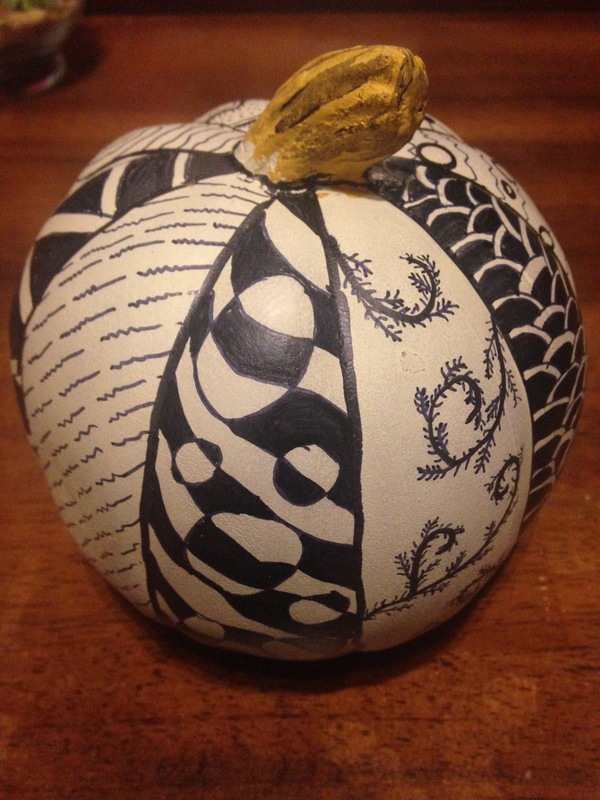 Heart Tanglers will meet THIS MONDAY at the Tazewell Public Library on Dec 14 from 6-8pm. These meetings are free and always a fun time of sharing our artwork, ideas, questions and info as well as good camaraderie. Bring your supplies for tangling or you can purchase from Kat (me) or David if you are getting low on tiles, pens or other things. 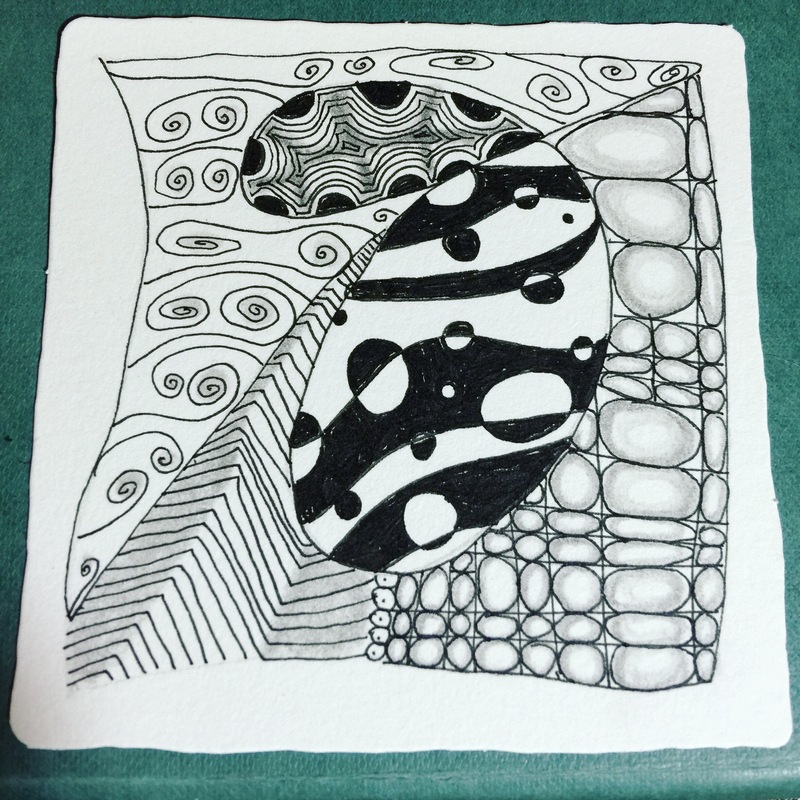 Please note that these meetings are for those folks who have already attended a class or who have some experience with Zentangle. A brand new American! Bear and the judge. I coudn’t resist this photo! After a 15 year journey, my husband David (“Bear”) finally became a naturalized US CITIZEN! The Oath Ceremony was December 3 in Abingdon, VA. 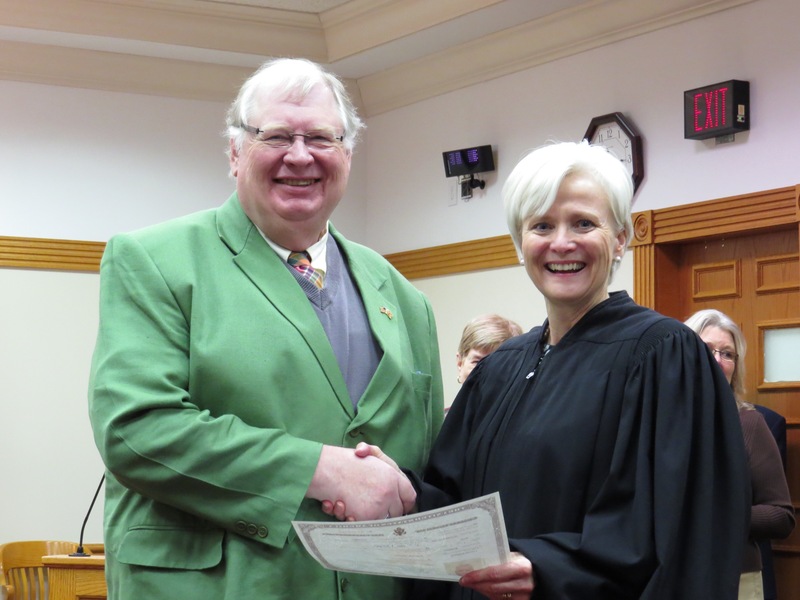 The photo above was taken as he received his certificate from the judge. THAT is what a new citizen looks like! He and 10 others were beaming after making America their official home. Bear is thrilled that he is going to be able to vote in the presidential election! Wytheville Museum has contacted me and asked that I start teaching classes there Saturday, January 16 2016, 2-5 PM. I am willing to teach anywhere, including private or individual classes. 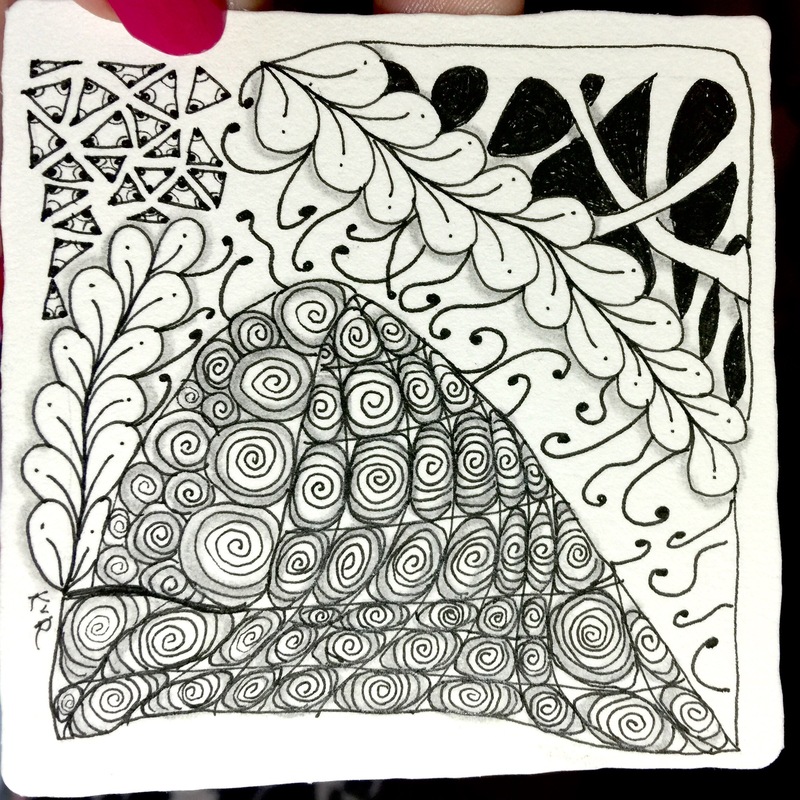 I will also teach another Basics: Zentangle 101 at the Appalachian Art Center in January. Please feel free to pass this email to those whom you think might want info on classes. Ask them to write to me at Heart.Tangles@gmail.com for more information or to be added to this newsletter mailing list. 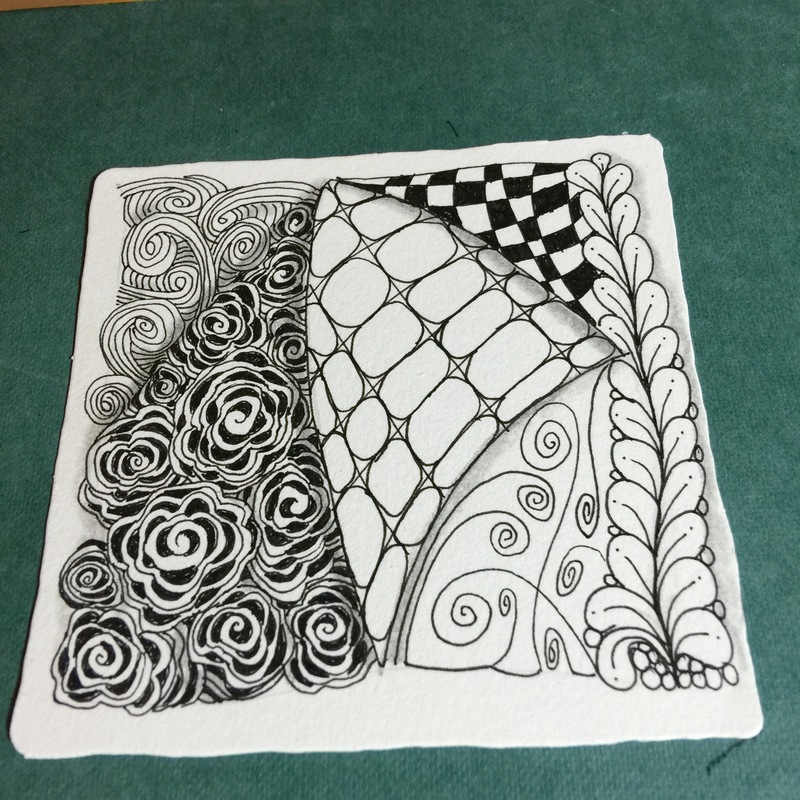 And now, I’ll close with some recent tiles of my own….. I’ve created three new tangles which I will teach at the Monday meeting if anyone is interested. This tile has one tangle of my own. There are two of my own tangles in it. 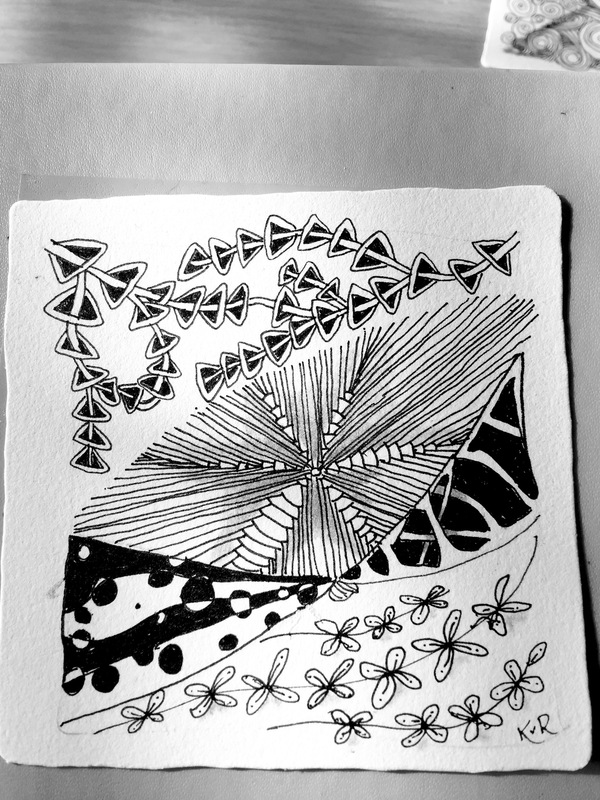 This has some of my own tangles in it. 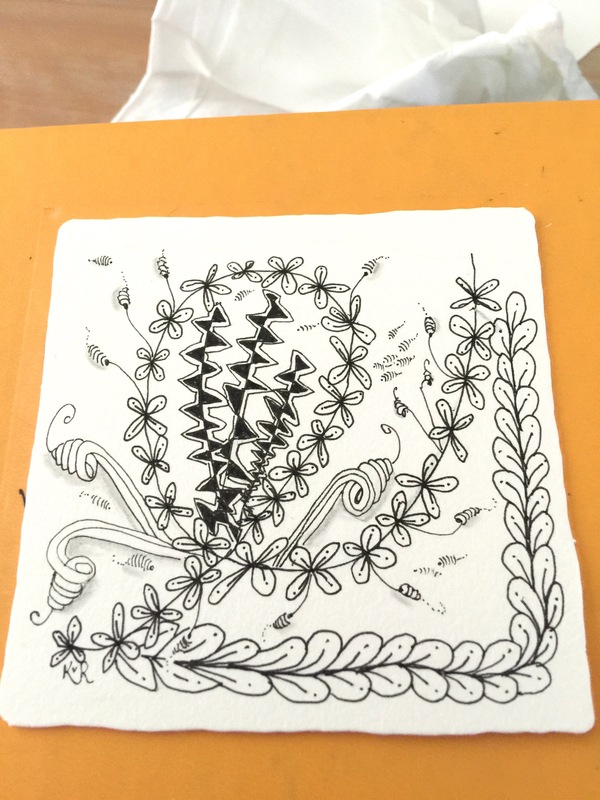 Copyright © *|2015|* Heart Tangles Studios*, All rights reserved.